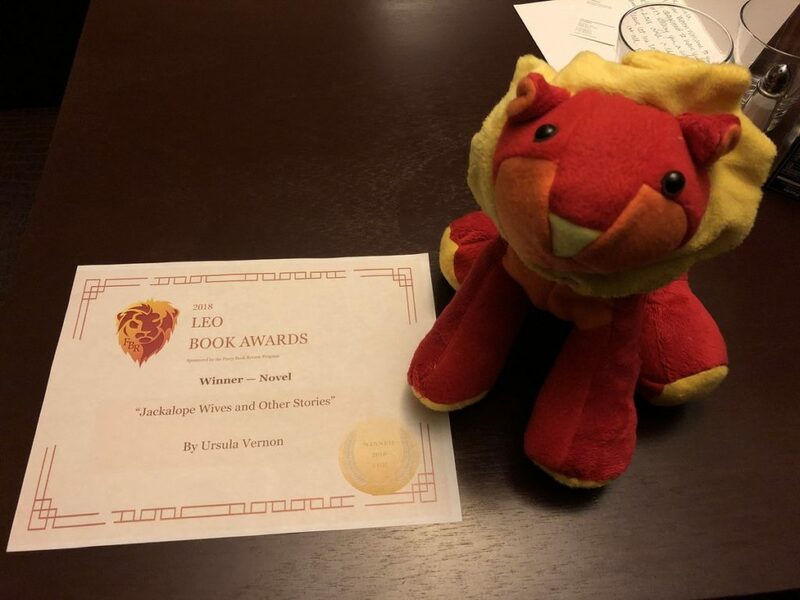 The first annual Leo Awards were presented at Anthrocon 2018 on July 7. The Leo Awards’ goal is to highlight exceptional works of literature in the furry fandom. The juried award is given to those works that surpass a benchmark score, which means that there can be multiple “best” works in each category. The finalists are listed here with the award winners in BOLDFACE. 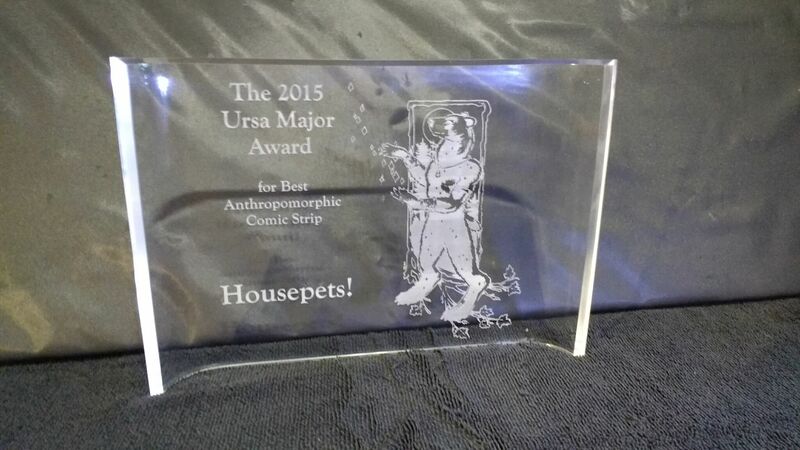 The 2016 Ursa Major Awards were announced on June 30 at Anthrocon in Pittsburgh. The Ursa Major Awards, for the best anthropomorphic works of the past calendar year, are presented by the Anthropomorphic Literature and Arts Association (ALAA) in twelve categories, and are voted upon by the public on the Ursa Major Awards website, Ursa Major Awards website. There were 1,446 votes this year, most from the U.S. but some from throughout the rest of the world. Below are listed the winners and nominees of the 2016 Ursa Major Awards. Next year’s presentation venue will be at the FurDU convention, May 4-6, 2018, in Surfers Paradise, Queensland, Australia. In addition, the Ursa Major Awards are adding a thirteenth category beginning this year, for Best Anthropomorphic Fursuit, but with special rules. See the UMA website. Voting has opened in the 2016 Ursa Major Awards for the Best Anthropomorphic Literature and Art of the and will continue until April 30. The winners will be announced at Anthrocon 2017 (June 29-July 2) in Pittsburgh, PA. Anyone may vote. Go to the awards website and click on “Voting for 2016” at the left for instructions on how to register to vote. This final ballot has been compiled from those eligible works receiving the most nominations. Fred Patten’s newest anthology, Gods with Fur, will go on sale at Anthrocon 2016 at the end of this month. 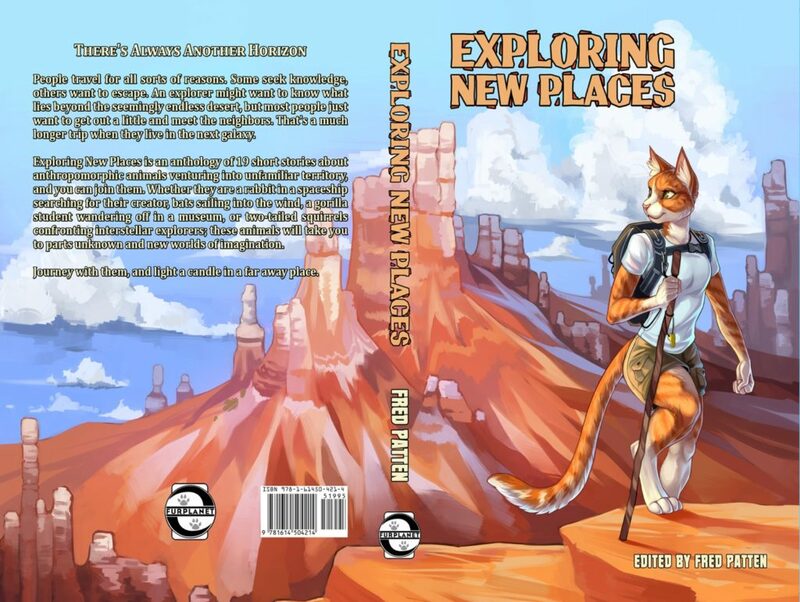 Published by FurPlanet Productions, the trade paperback book contains 23 original stories by Kyell Gold, Mary E. Lowd, Michael H. Payne, and more, featuring the gods of anthropomorphic worlds and the anthropomorphic gods of our world. You may know about Egyptian mythology’s jackal-headed Anubis, but do you know about wolf-headed Wepwawet? You may know about China’s Monkey King or the native North Americans’ Coyote (well, they say they’re gods), but do you know about the Aztecs’ 400 drunken rabbits? 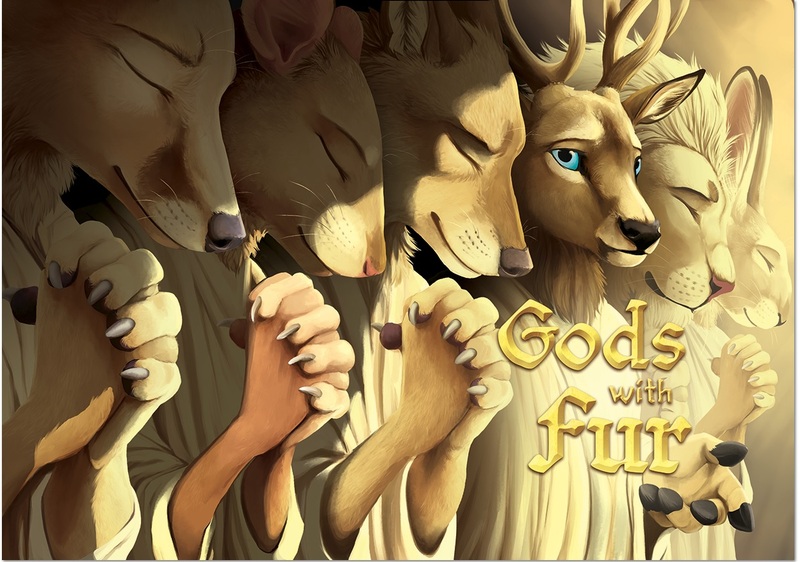 Gods with Fur ($19.95, 453 pp., cover by Teagan Gavet) will be on sale at Anthrocon 2016 on June 30 – July 3, at the FurPlanet table in the Dealers’ Den, and on the FurPlanet online catalogue later in July. All Chicon 7 events should be a space where everyone feels welcomed and comfortable. Discrimination (based on, but not limited to, gender, race, ethnicity, religion, age, sexual orientation, gender identity, or physical / mental disability) is not tolerated. Harassment of any kind is not tolerated. If someone tells you “no” or asks you to leave them alone, your business with them is done. If you do not feel comfortable talking with the person(s) involved or if talking to them does not resolve the issue, please report the situation immediately to any Chicon 7 event coordinator (i.e., Board Members, Convention Committee Members, or Operations Staff). Try to provide a name, badge name / number and / or physical description of the person(s) involved. Note that we need to know about any incidents during the event in order to take action. Other conventions have been developing anti-harassment policies over the past few years. For Worldcons, this is new territory. The words “harass” and “harassment” do not even appear on the websites of the past several Worldcons. What I like about Chicon 7’s policy is its clear language and pragmatism. I also feel it has a sense of sense of immediacy and engagement that is far superior to passivity of the Anthrocon policy so widely commended in recent online discussions – which really doesn’t commit Anthrocon to do anything unless a court has already issued a restraining order (!). Banning of attendance and membership to future Chicon 7 events, including any post-Chicon 7 events. Admittedly, the hammer-waving may help Chicon 7 achieve its purpose of assuring members that harassment is not tolerated. The full range of issues covered by the Code of Conduct calls for a flexible range of responses, but people fresh from reading Elizabeth Bear and Catherynne M. Valente are likely to be skeptical about mediation or verbal warnings and more interested in hearing about the hammer.